Dei arkeologiske utgravingane i Kapernaum, «Jesu eigen by», har fått ei oppgradering. Ferrell Jenkins skriv her om fornyinga av staden. 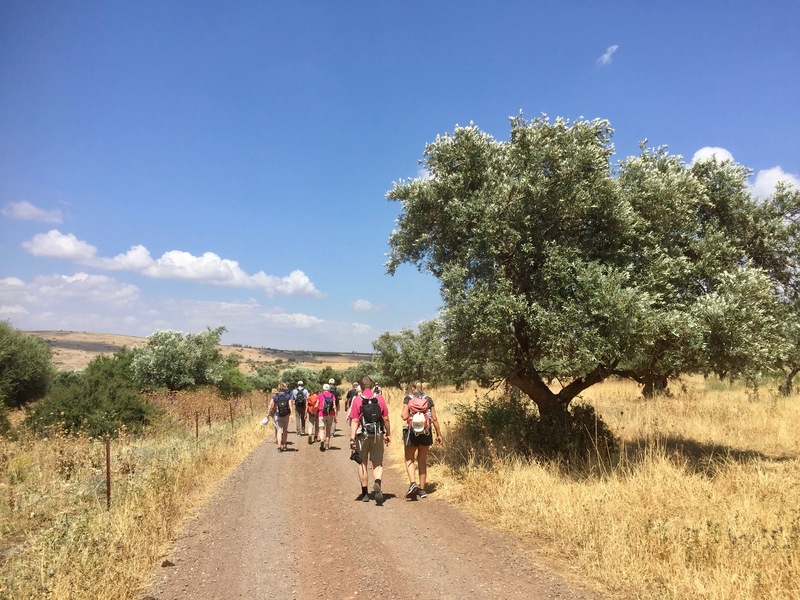 On our recent visit to Israel we visited some places we have been many times because of changes we expected to see. Capernaum was beginning to undergo some renovations when we were there in 2013. If first impressions are important, then Capernaum is now making a good first impression with the new entrance sign. You will observe that the ticket booth also has a new look. Since this is a private site, owned by the Franciscans, there is a small entry fee. 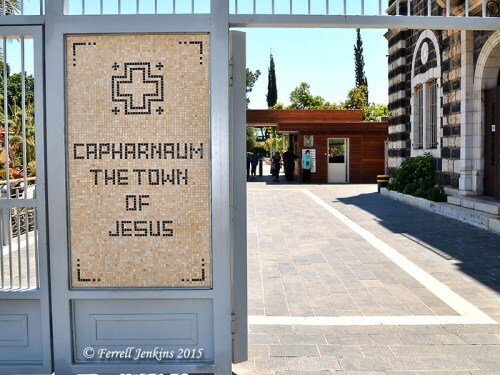 The new entrance to Capernaum (Capharnaum). Photo by Ferrell Jenkins. 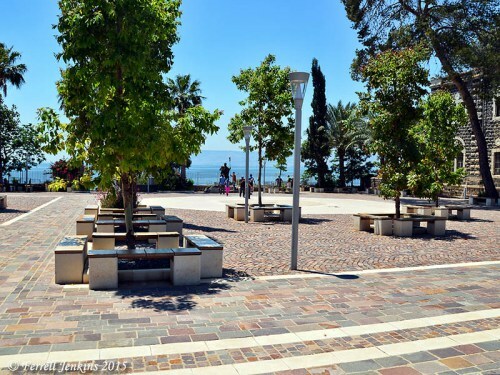 Instead of immediately moving into a crowded area to look at some of the architectural fragments excavated at the site, you have this beautiful plaza facing the Sea of Galilee. My photo can not do justice to the beauty of this site. The new plaza at Capernaum. Photo by Ferrell Jenkins. You are currently browsing the Arne Berge blog archives for juni 2015.